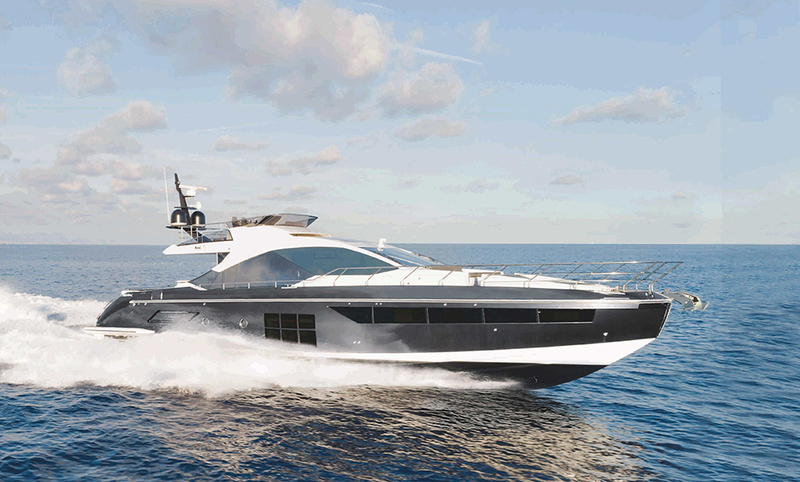 Azimut welcomes a new flagship to its lineup, the Azimut Grande 35 METRI. 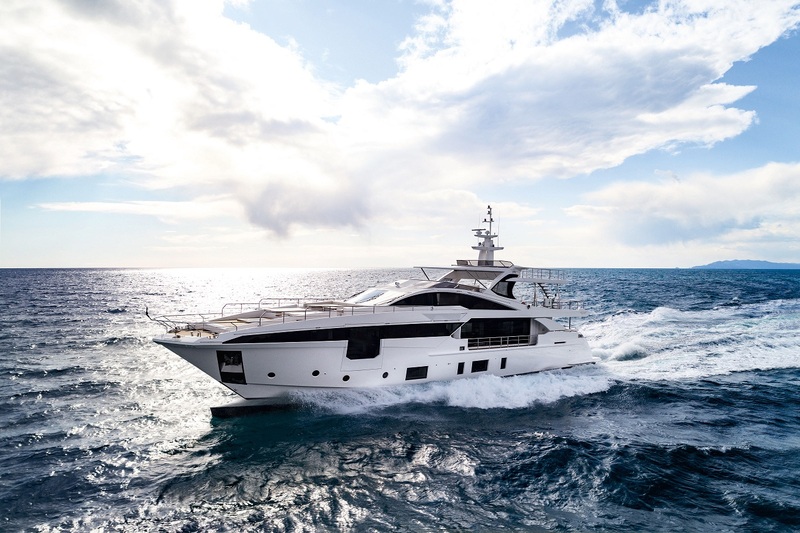 With its established Atlantis, Magellano, Flybridge, S and Grande collections from 34 to 115 feet, there is no shortage of choice for those keen on the work of the Azimut yard. 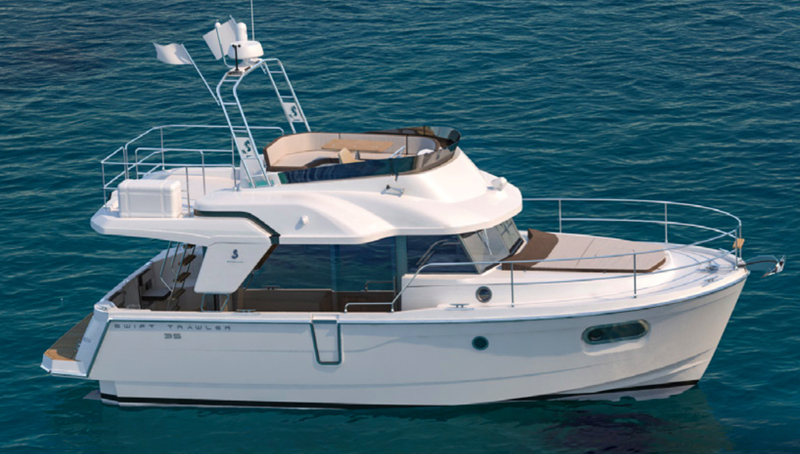 But in the form of the Grande 35 METRI, the company has a new flagship to spearhead its fleet. 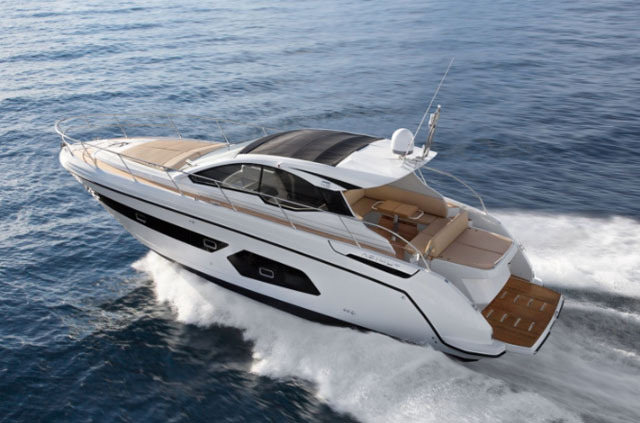 As the top craft in Azimut’s most exclusive line, the Grande 35 is designed to be “a masterpiece of style and space”. 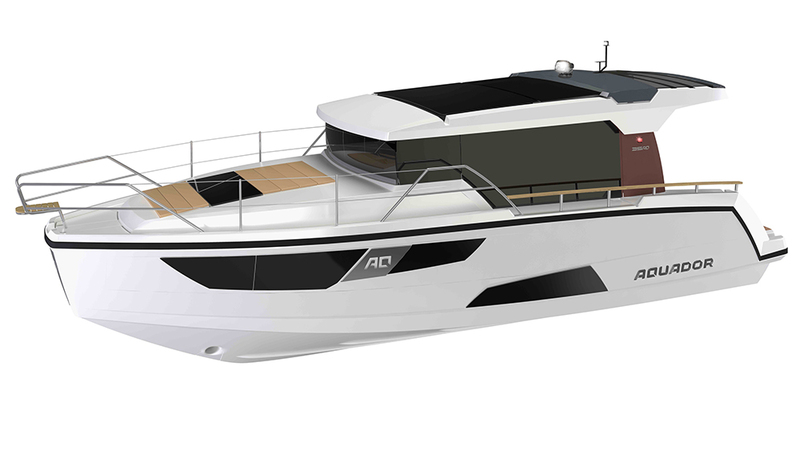 To that end, it uses a ‘Wide Body’ 7.5-metre beam, with Raised Pilot House and full-height windows in both the bow and saloon. It also comes with the option of an additional 30-square-metre sundeck on a third level, with access from the upper deck in the stern. 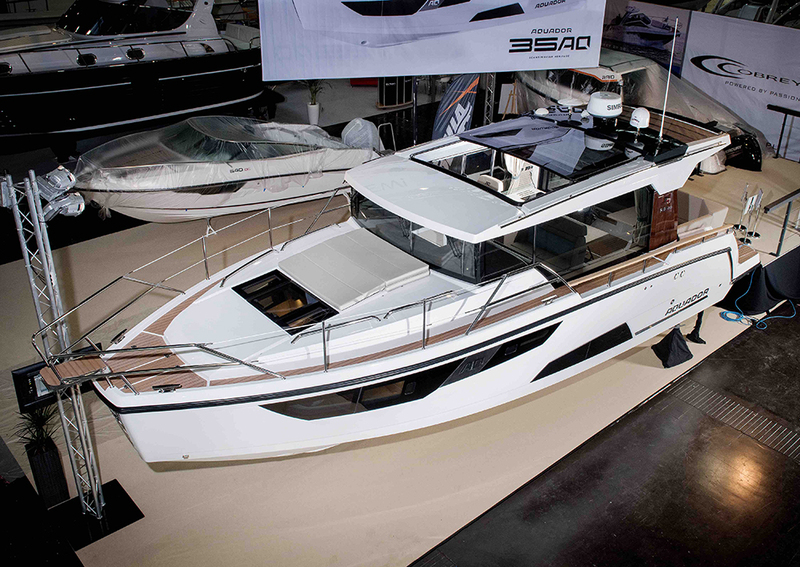 The Grande 35 exhibits several features associated with much larger platforms. 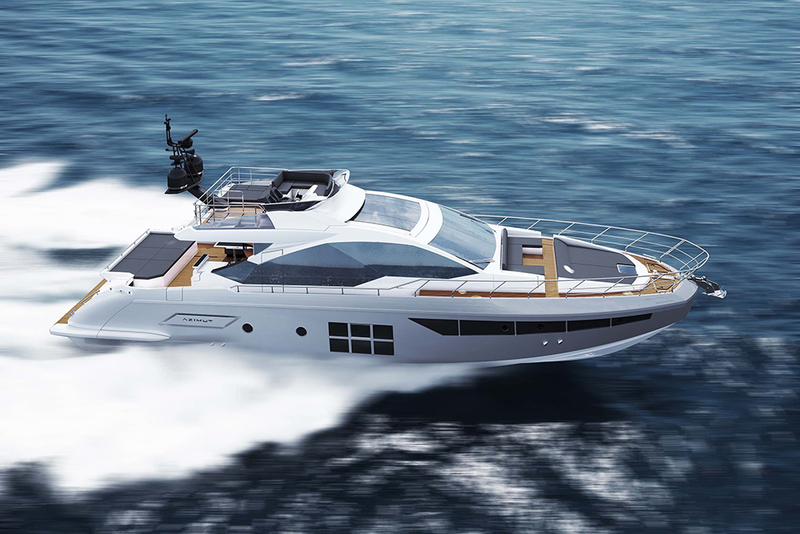 The entire superstructure and hardtop are made from carbon fibre, which enables Azimut to increase the volume of its internal spaces without expanding the external profile, compromising the strength or increasing the weight. 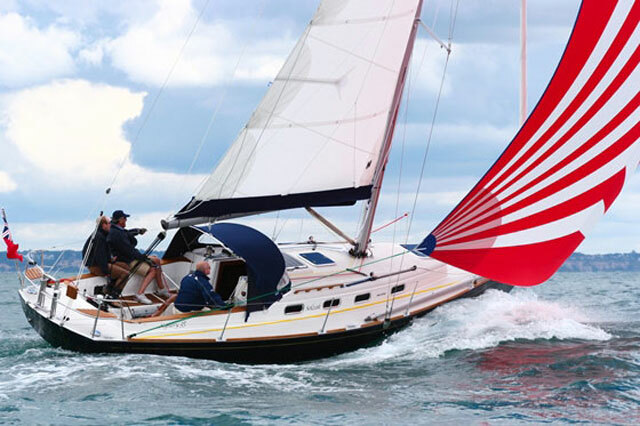 That in turn helps create the space for features often associated with much larger yachts. There’s a side garage big enough to swallow a five-metre tender and a 3.25-metre personal watercraft; a 12-square-metre beach area on a big pivoting swim platform; and a 30-square-metre beach club in the bow, fitted with sofas, a sun lounging space and a hydro massage tub. The interiors, designed by architect, Achille Salvagni, employ streamlined shapes brought into modern focus by the close proximity of contrasting materials and textures, with brass, bronze and polished stainless steel inserts all helping make the space more memorable. The main deck owner’s suite, meanwhile comes with a private but unobstructed balcony that folds out from beneath a section of the full-height window. Elsewhere, the layout includes four guest cabins (two VIP cabins with double beds and two with twin beds), with access from a big central lobby, plus a spiral staircase, with backlit onyx steps, which runs from the lower deck right up to the pilothouse. Up in the bow, separated entirely from the guest area, there is space for six crew and, with two MTU 16V2000 M93 engines, she is expected to cruise at around 21 knots and achieve a top end in excess of 25 knots. 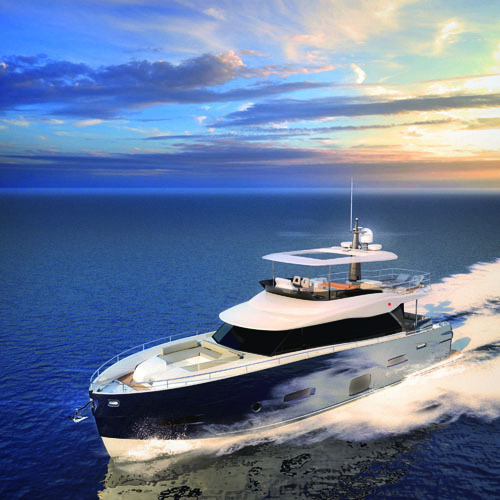 For more on Azimut’s new flagship, see Azimutyachts.